The Women's Discovery Strider Skirt brings a fun, casual style to one of Royal Robbins go-to performance fabrics, with a slimming tricot waistband. The versatile Discovery stretch nylon fabric has UPF 50+ protection and wrinkle resistance. 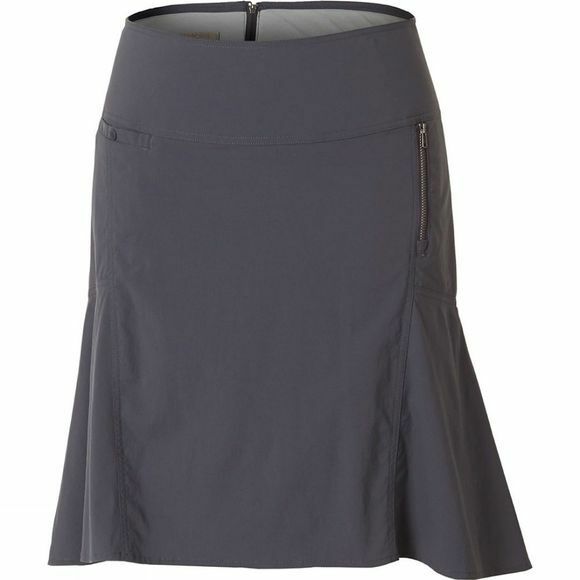 This lightweight, quick dry skirt is perfect for active travel, with a zipped pocket on the left hip. The Swiss Army knife of fabrics, Discovery is an adaptable, easy care fabric that is engineered for solid performance with a pulled together and polished look. This nylon blend is designed for a natural hand feel and texture and is highly durable, with a great stretch and UPF 50+. Discovery garments are lightweight and wrinkle-resistant, making them ideal for travel.